All of this and Britex, too. What more could a fashion designer want? I’m surprised she didn’t have experience with the hosiery issue . . . I could see it if she’d been primarily a stage designer, because designing for stage and film are completely different. I would have love to be there. I was surprised, too, Paula. The cast of SATC often went without hose but I’m thinking that movie screens are a different issue and perhaps Streep has different standards. What a great article! 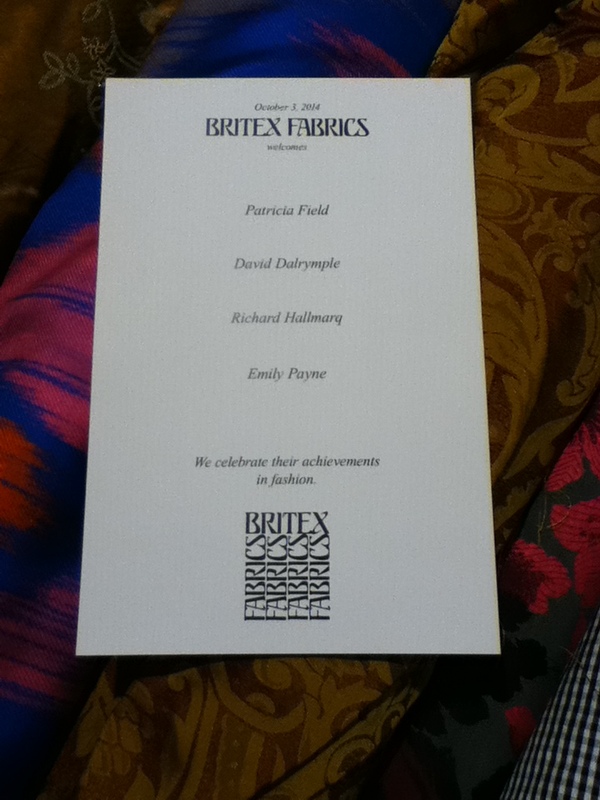 Thank you Patricia Field, Britex Fabrics and Moya Stone.